Glenn Perdue is the managing member of Kraft Analytics, LLC, which focuses upon valuation, forensic and transaction advisory services. Glenn’s valuation experience includes the valuation of businesses, equity interests, intellectual property and other intangible assets for investment, lending, managerial planning, compliance, accounting, tax, marital dissolution, restructuring and litigation purposes. His forensic experience includes work with attorneys related to valuation issues, transactional disputes, economic damages, intellectual property, antitrust analysis, corporate investigations, employee fraud, insurance coverage, computer forensics and e-discovery. 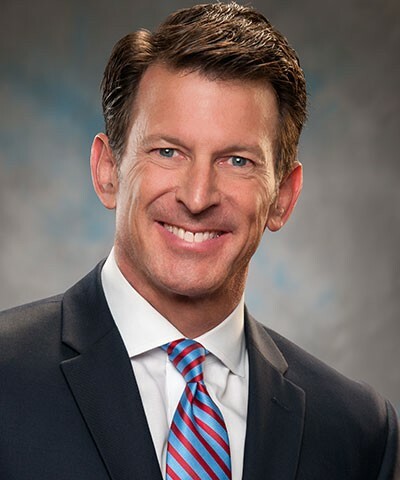 Glenn has been retained as an expert in about 200 litigation matters and has provided testimony as an expert witness at depositions, in mediations, in arbitrations and in federal and state courts before judges and juries. Glenn’s transaction advisory experience includes valuation, fairness opinions, due diligence and transaction structuring support related to business sales, asset sales, M&A transactions, equity investments, lending transactions, licensing transactions and joint venture arrangements. His other consulting experience includes market entry studies, industry and competitive analysis, business strategy, technology strategy, technology investment analysis, risk analysis and capital formation support. Glenn began his professional career in the venture capital industry and later became the president of a technology company which he sold before attending graduate school. Prior to joining Kraft, Glenn was with Crowe Chizek and Company where he led the technology and intellectual property practice. Prior to that, he was with LECG, an international economics and finance consulting firm. Glenn has 30 years of experience working with business owners, executives, attorneys, accountants and other professionals. Industry experience includes work in information technology (software, hardware, internet, telecommunications); life sciences (pharmaceuticals, biotech, medical devices, medical supplies); healthcare services (hospital, long-term care, ASC, dialysis, home health, health insurance, imaging, healthcare IT, EMR, EHR, PBM); music, media and entertainment; inventory-based businesses (manufacturing, distribution, retail); banking and financial services; construction and real estate; automotive and transportation; service-based businesses (professional services, technology, advertising, etc. ).